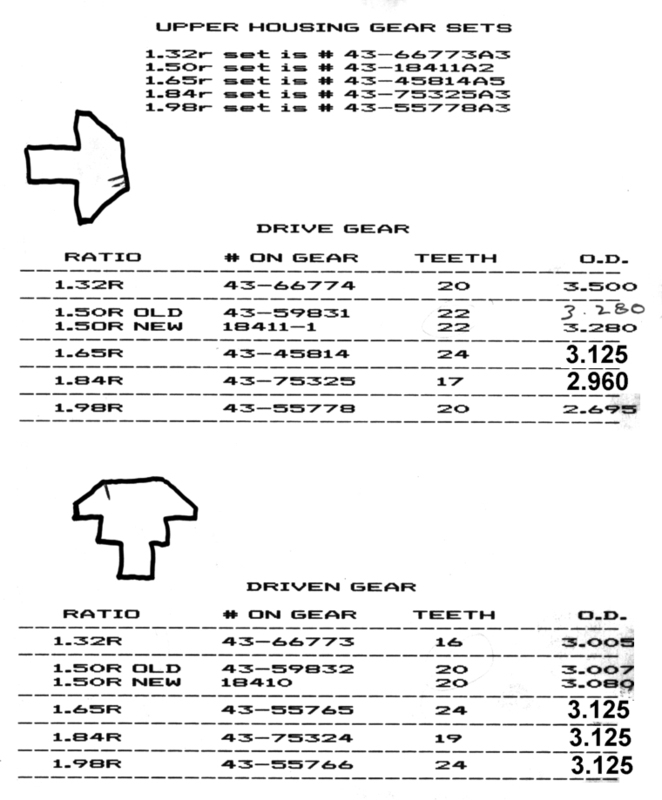 It is the (2) gears in the upper unit which determines the actual outdrive gear ratio. For all practical purposes, the (3) gears in the lower unit are all the same size. If the drive is off the boat you can do the same as above by turning the u-joints in a clockwise direction while watching the prop. Note ! If you turn the u-joints in a counter-clockwise direction, you may harm the water pump impeller.